Dale Chihuly learned the team approach to blowing glass while working at the Venini glass factory in Venice in the late 1960s. 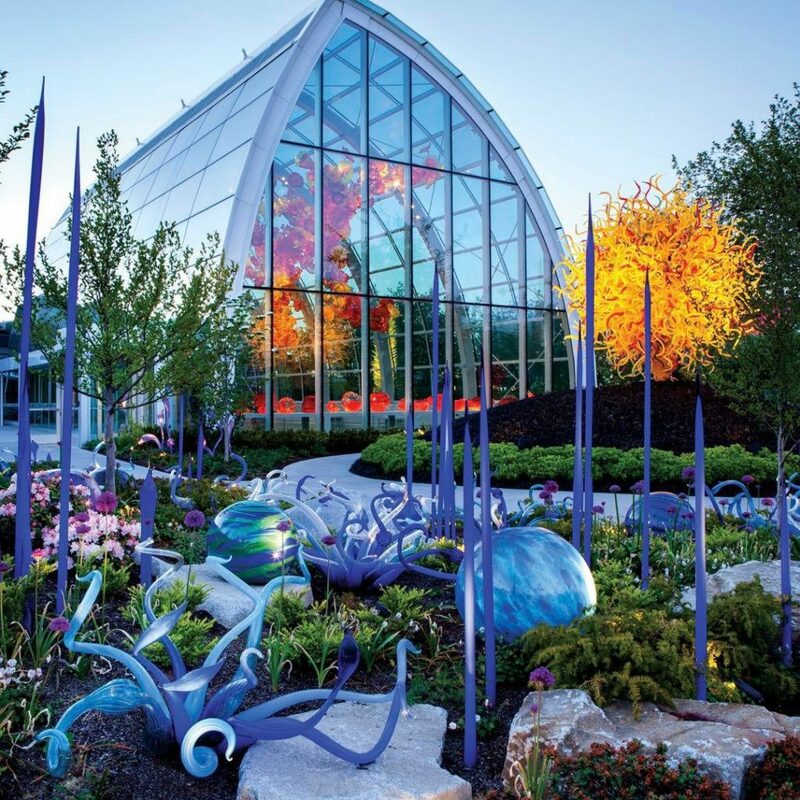 A long career in the development of glass as avant-garde fine art led to the opening of Chihuly Garden and Glass at Seattle Centre in 2012, which displays his works within exhibition spaces, gardens and a purpose-built glasshouse. 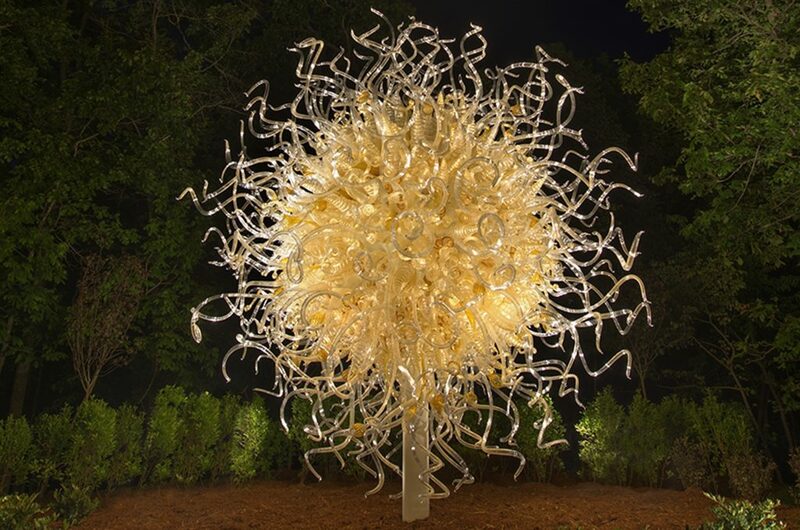 Some of his enormous glass sculptures are also currently being exhibited throughout the estate of Biltmore House in North Carolina until October 2018. Brian Clarke is best known for radically innovating the medium of stained glass, frequently creating works for architectural settings and collaborating with international architects for 40 years. 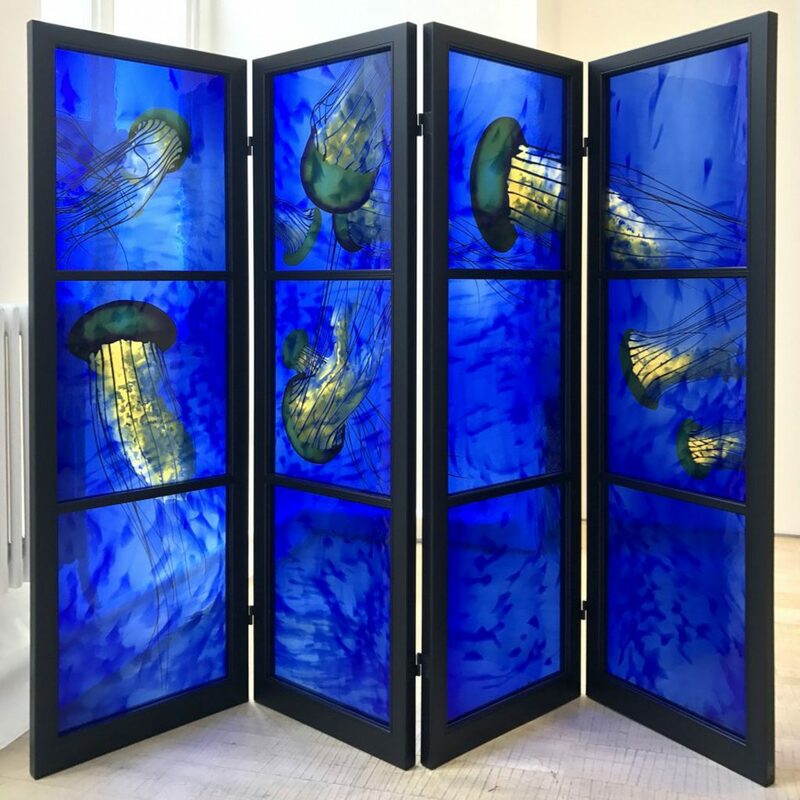 In his recent exhibition Summer Solstice Screens, he created twelve glass screens inspired by the characteristic movement found in a number of global environments. Clarke is currently exhibiting The Art of Light at the Sainsbury Centre for Visual Arts, Norfolk until October 14, 2018. 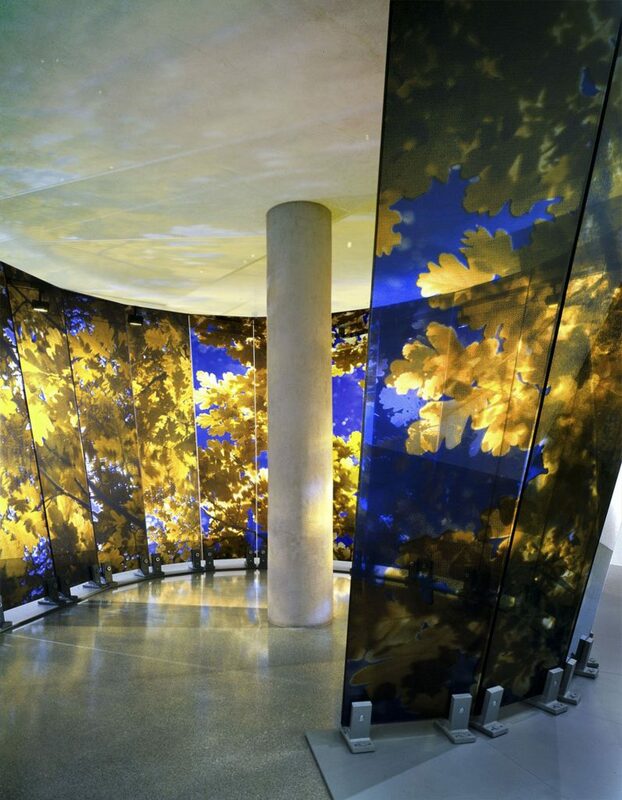 Italian fine artist Narcissus Quagliata has created large water colour glass works for public spaces in Europe, America and Asia for many years. 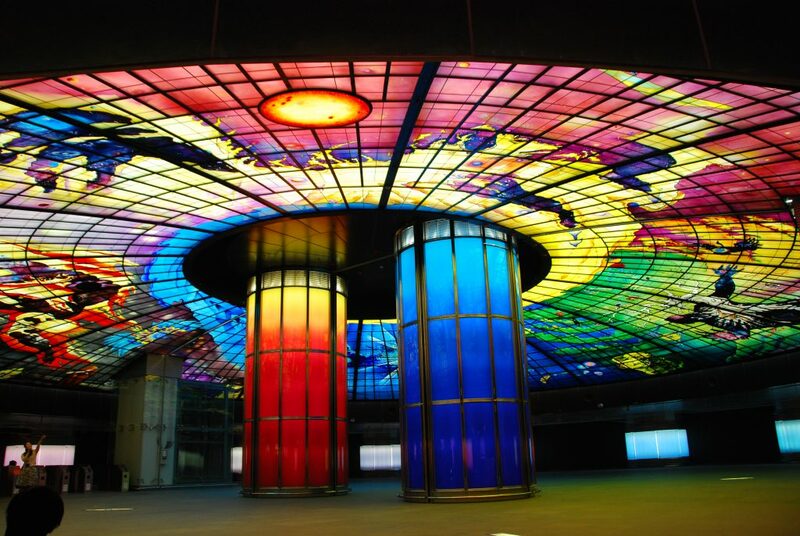 His Kaohsiung Dome of Light, situated in the Central Station in Taiwan features huge glass paintings, universal symbols of human emotions set across a four-quadrant dome, the largest illuminated art-glass dome in the world. And finally, in the UK, glass artwork is set to take centre stage at the new entrance to Farringdon station, in central London, when it opens as part of the new Elizabeth Line, Crossrail project. The striking work by artist Simon Periton is part of the Crossrail Art Programme. Periton took inspiration for this work from the nearby Hatton Garden diamond district, using his long-established practice of creating delicate paper-cut outs, designing a sequence of enormous tumbling gems, which will be digitally printed across 45 illuminated glass panels.